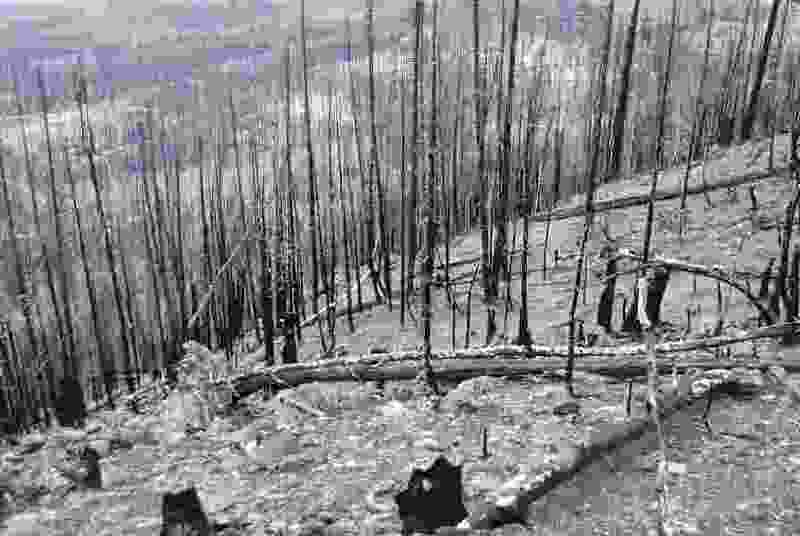 Utah officials say the emergency proves claims that feds’ forest management policies pose a threat to the state’s ‘health, safety and welfare’. (Brian Maffly | The Salt Lake Tribune) The Brian Head fire has left steep slopes vulnerable to severe erosion, including along the Spruce Trail near Bowery Creek, seen here on Sept. 8, 2017. Thousands of acres are being covered with straw dropped from helicopters in an emergency effort to stabilize the soils. The fire also appears to have tainted water supplies for the town of Panguitch. Two years ago, leaders of Utah’s Garfield County put the U.S. Forest Service on notice that overgrown timberlands on the Markagunt Plateau posed a dire threat to the town of Panguitch. “Tinder box conditions” on the lands surrounding Panguitch‘s springs “translate to an imminent threat to the quantity and quality of the public drinking water supply,” officials wrote to managers of the Dixie National Forest. Now, the rural county’s predictions are proving prescient. Hardly six weeks after the 77,000-acre Brian Head fire stopped burning last month, testing has shown unacceptable levels of E. coli bacteria in most of the springs that Panguitch taps, according to town manager Lori Talbot. According to an emergency assessment of the burned area, collection boxes that the town uses to gather water from its springs are also at serious risk of being clogged with debris. Rains have already washed carcasses into the spring area. “It has wreaked havoc on our watershed,” Talbot said. State political leaders are leveraging the burn in hopes of wresting greater local control over Utah’s national forests, which they say are mismanaged and not logged fast enough to keep up with the new growth choking them. 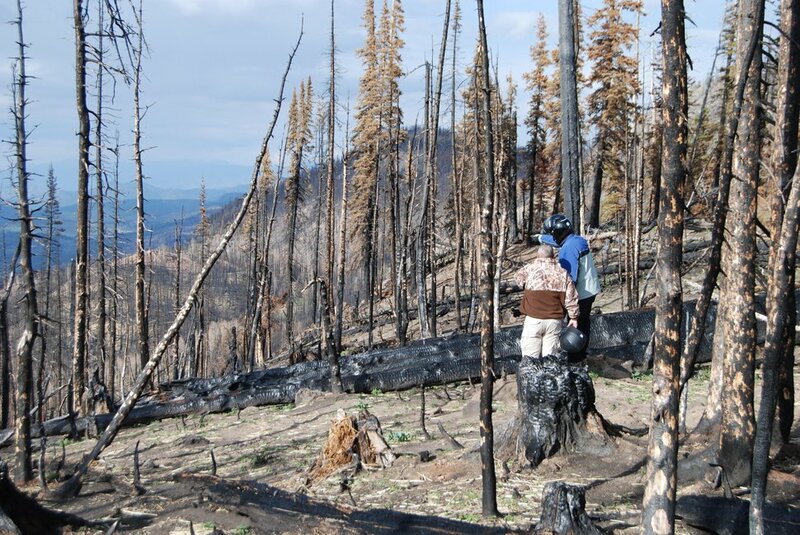 Bark beetles have taken a huge toll on the Markagunt’s spruce stands, leading to worries that miles of standing dead timber poses a huge fire risk. 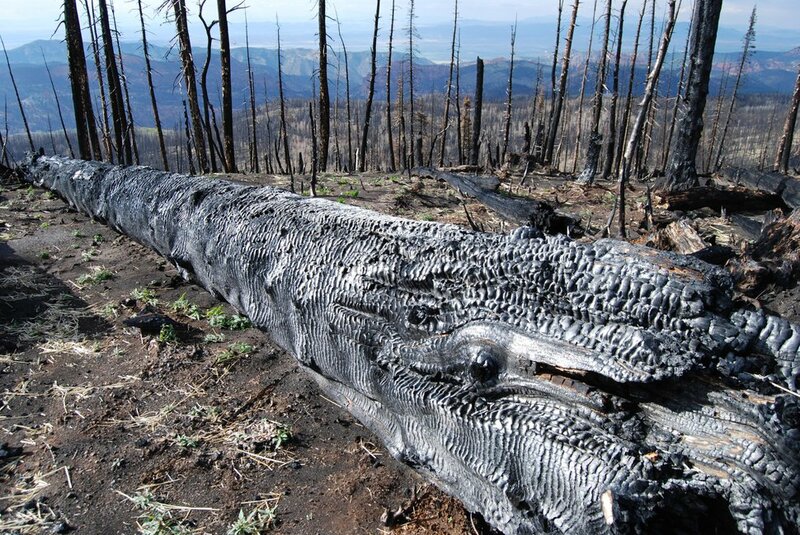 While the flames were still ranging around Yankee Meadows, one Utah lawmaker lambasted the Forest Service for turning over land management to “rock lickers and bird and bunny lovers,” his derisive names for activists he claims would rather see forests burned than logged. The Legislature’s Commission on Federalism is demanding answers from U.S. Service Chief Tom Tidwell and other top land-management officials. The letter notes Garfield, Iron and Kane counties had all declared that a “catastrophic public nuisance” existed on the Dixie — long before Brian Head erupted in flames on June 17. Despite receiving these notices, “there has been no noticeable action taken by the federal government to abate these existing nuisances from the threat of future fire,” the letter continues. The Commission contends federal forest-management policies interfere with the state and counties’ duty to protect the health, safety and welfare of their citizens. Requests to Dixie forest managers by The Salt Lake Tribune seeking comment have gone unanswered. The Brian Head fire started and burned for a few days on private land after a property owner allegedly tried to do their own prescribed burn on land at the head of Parowan Canyon. The Forest Service and the state spent $36 million fighting the fire and will spend another $6 million reseeding and mulching areas that were most severely burned. Last month, the Forest Service began distributing sterile triticale seed and straw mulch around Yankee Meadows and other areas at risk of destructive erosion. In late October, nearly a quarter-million pounds of seed will be dropped to spur the return of grasses and other plants. In the meantime, the Dixie has closed many miles of road and trails until Oct. 31 because of persistent health and safety concerns associated with the burn. Closures include the Bunker Creek bike trail, Dark Hollow, Bear Valley and everything near Yankee Meadows. Wildfires that burn with high intensity not only remove vegetation that holds slopes together, they cook the soils in a way that makes them repel water. Instead of sinking into the ground, precipitation cascades off the surface, taking sediments and debris with it. The debris, which could include feces from humans, wildlife or cattle, can easily wind up in areas that recharge springs used as drinking water sources, according to Marie Owens, executive director of the Utah Division of Drinking Water. Owens said she was not aware of other municipalities whose water supplies are compromised as a result of the Brian Head fire, but the real test won’t come until spring when runoff will push contaminants downhill. “I am not confident that other communities won’t be affected,” Owens said. Two monsoonal rainfalls in August led to severe erosion in Parowan Canyon, where the Utah Department of Transportation has struggled to keep State Route 143 open after debris clogged culverts and rushing water cut channels on either side of the road. Crews this week are replacing five 24-inch-diameter culverts with larger ones. The agency is seeking funding for $2 million in additional upgrades next year. Lying just beyond the eastern fringes of the Markagunt, Panquitch and its 1,500 residents rely on five springs in the Delong Creek drainage and another two in Indian Hollow. “We have been doing water samples three times a week on the springs. None in Delong can used,” Talbot said, due to the presence of E. coli. Exposure to some strains of the bacteria, which normally resides in the intestines of humans and animals, can cause bloody diarrhea and kidney failure. Panguitch can get by with the Indian Hollow springs, but it nonetheless has banned the use of culinary water for outdoor applications. The town plans to seek an emergency state grant to drill a new well at a cost of between $200,000 and $300,000, according to Talbot. Already, she said, town officials have spent $20,000 to replace cattle-excluding fences lost in the fire or washed out in subsequent flooding.